Welcome back Avatar. 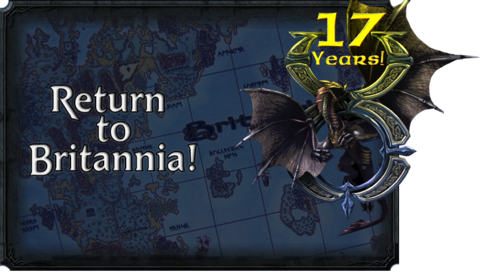 Whether it has been a short time or many years, learn about the changes in Britannia since your absence. For a more comprehensive overview of major changes to UO view the Changelog article. 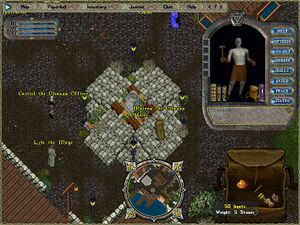 Publish 92 added The Valley of One quest chain. Go defeat monsters in the Valley of Eodon! For many years now Event Moderators have run unique events on all shards. They are similar to how Seers used to be. They also push along story lines set out by the UO Team, but add their own flavor to each shard. Check out your shard's website for upcoming events. Advisors have recently been added to the game in a role very similar to what Counselors used to be. They can answer game questions, move stuck corpses or monster spawns, or move a stuck player. They will also contact a Game Master if you need further assistance. Classic is the original game client. UOAssist is still updated and only compatible with this client. UOAM is no longer updated but mostly still works. You can also try a newer map program called UOCartographer. Enhanced is the newest version of the client that sports 3d models, customizable user interface, and particle effects. It has received major updating recently in Publish 86. Many features of the popular Pinco's UI are now built into the client. If you have been away for a while, the account management system could be a little confusing. All accounts are now put under a master EA account. The UO team has created a guide that will walk you through the process of the new system. You also need to link old accounts to your new master account. If you need any gametime or account upgrade codes, you can find a list on UOGuide's Shoppe page. For lots more links to UO related websites see the Community Portal page (always accessible from red banner menu).